Warning: picture-heavy post ahead. 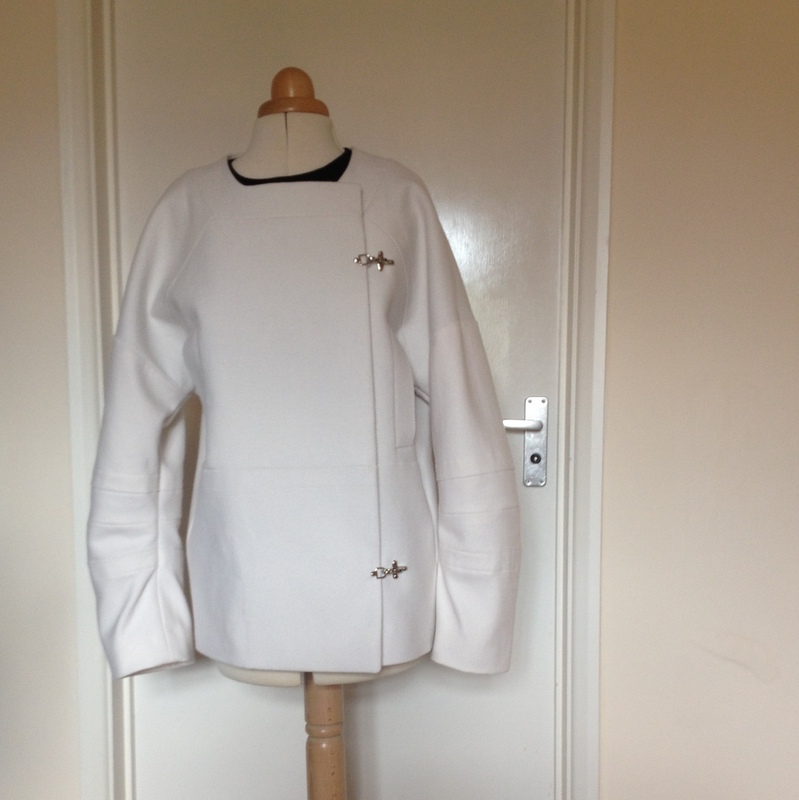 This is my last post about constructing Vogue 1335, which I started sewing way back in March. Hopefully I’ll get some pictures of it in action soon. Vogue’s version of this style has optional tab closures made from scraps of leather and poppers. The pattern also has marking for snaps inside the jacket which are supposed to provide the real closure mechanism. The tabs are just decorative. 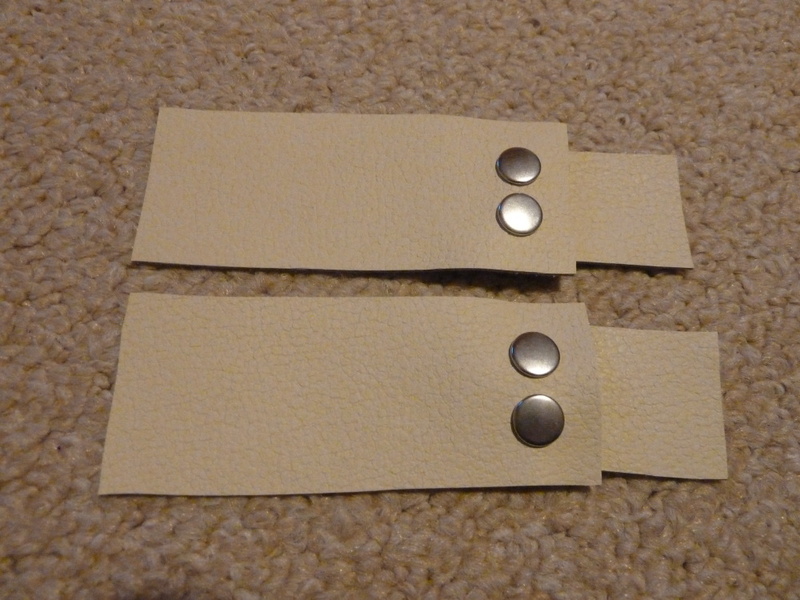 I originally wanted to use the tabs on my version, so I made these from some faux leather I got on eBay. However as the project wore on I started to think that the tabs I’d made were a little too yellow against the winter white shell fabric I was using. When I finally came to the stage where the tabs had to be stitched on I decided not to use them and looked for something else. The fasteners are from Macculloch and Wallis and at the time of writing are available here. 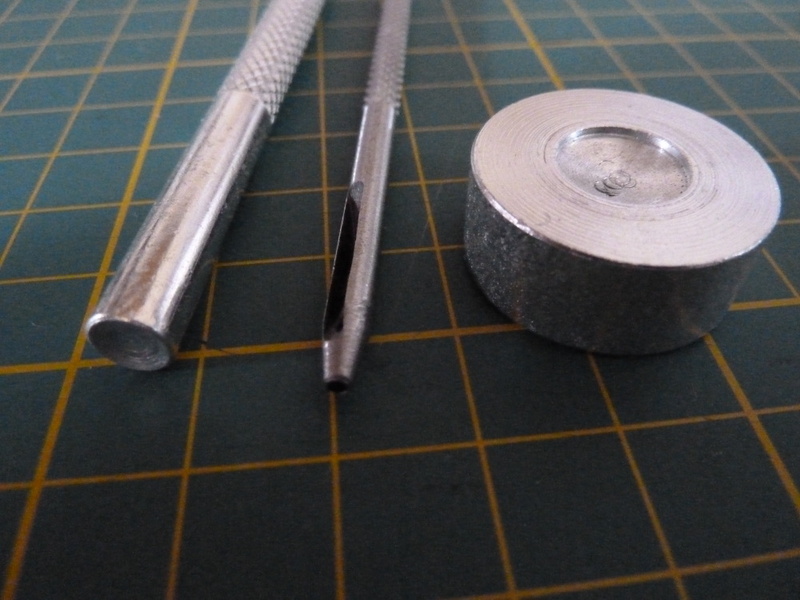 One of the difficulties with finding them was that there doesn’t seem to be a standard name for this type of fastener. Macculloch and Wallis call them ‘trigger lock’ fasteners, but if you google that term you’ll mostly find a slightly different type of gadget intended for attaching straps to handbags. 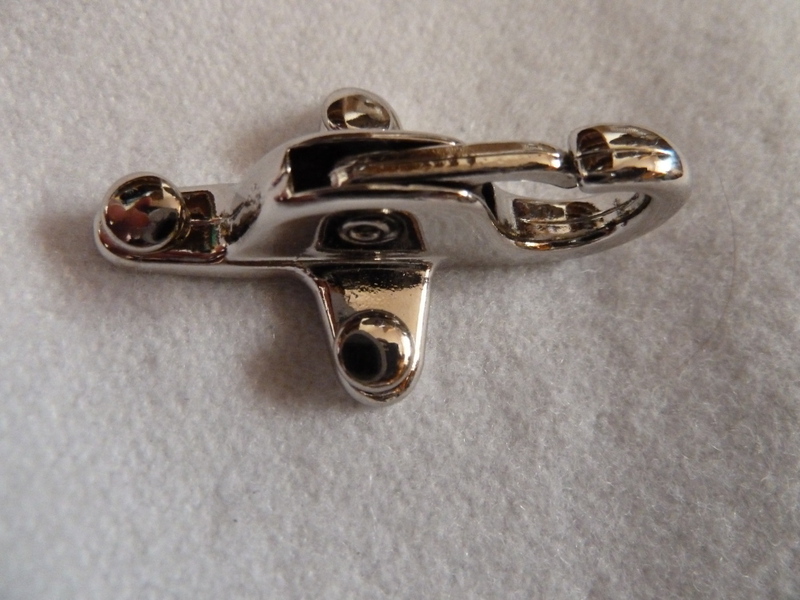 I’ve seen the coat fastener variety called ‘hook and dee’ or ‘fireman’ fasteners on US sites but had no luck finding them for sale under those names. The rivet setting tools came from Amazon. 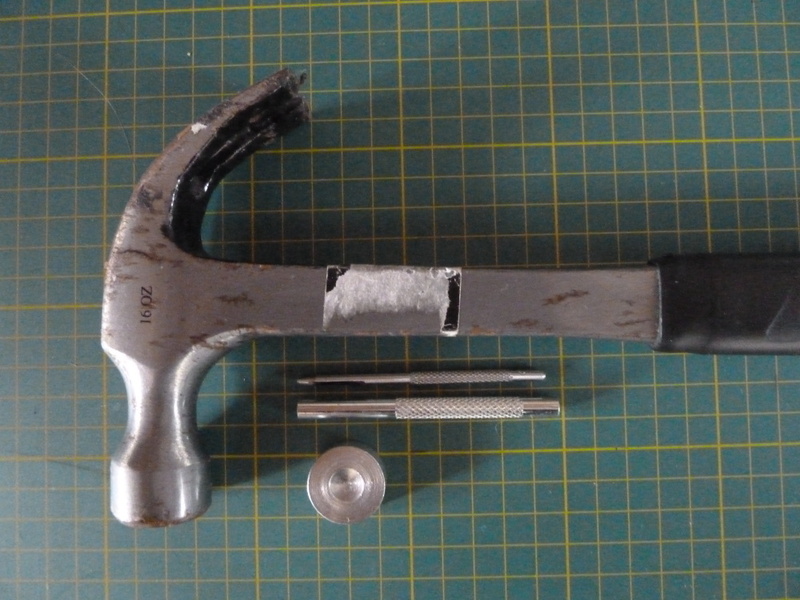 I also got a pack of extra rivets which provided useful practice material before taking the hammer to my jacket and fasteners. The rivets were quite tricky to install. Thumping them with the hammer wasn’t difficult but keeping them straight was. The results aren’t entirely straight and square but luckily that’s not obvious unless you get very close indeed. One nice and unexpected thing was that it turned out that two external fasteners are enough and I didn’t need to install the internal snaps. I am useless at sewing snaps – they never stay attached for long! I’ve had to reapply the snaps on my Burda coat more than once. This jacket sits perfectly without snaps; probably a testament to all the extra interfacing in it. So that’s it for construction. I’ll try to get some pictures of the jacket being worn soon. Posted on July 19, 2014 July 13, 2014 by catherinedaze	This entry was posted in dressmaking, Guy Laroche jacket, sewing, Techniques, vogue and tagged dessmaking, fasteners, guy laroche, jacket, sewing, vogue, white. Bookmark the permalink. Brilliant! I prefer your fasteners to the original, actually. The trigger snaps are interesting without being the focal point. What a fantastic coat! Looks amazing, can’t wait to see it worn! 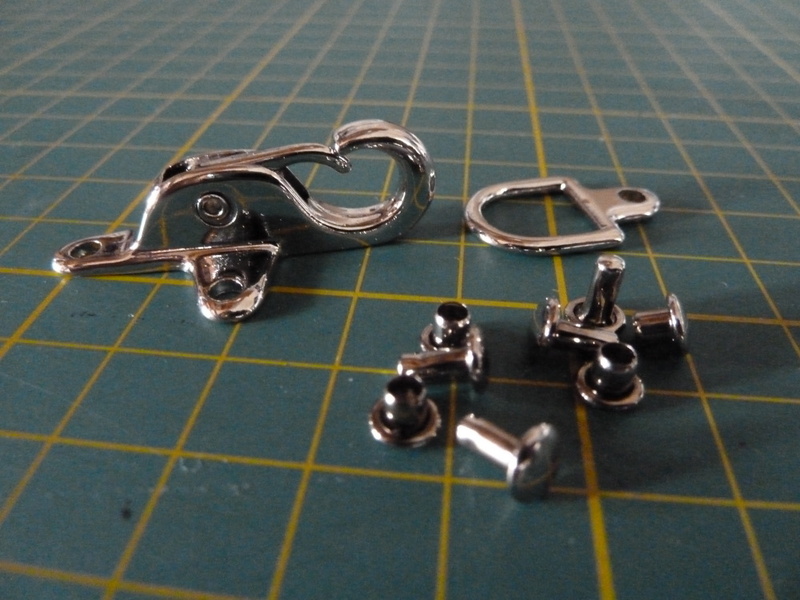 I had a fireman’s raincoat once that used these types of fasteners. Have always loved that look. These trigger fasteners are just the right touch for this fantastic jacket! I love your couture makes. I think your coat is stunning, so much prettier than the original. Your fasteners are perfect and don’t detract from the gorgeous detail of the coat. One’s eye lands on them last and then appreciates them separately. This is one of the most beautiful garments you’ve done – and you have done so many! First, I like your closure better than the original. And second, at least on the mannequin, the fit is nothing as astronaut-like as that of the original. So I’d say well done! 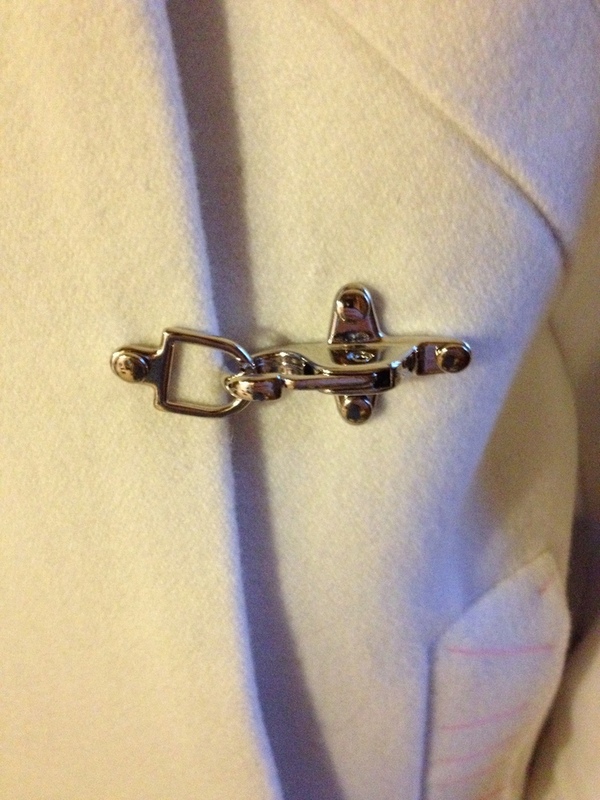 Oh I’m seriously so excited to see your coat and the fasteners… they’re both glorious! All that extra interfacing was so definitely worth it. Love what you’ve done with the hardware, and very much looking forward to seeing this on you! Can’t wait to see this on you! It’s beautiful and the clasps are perfect for the coat. 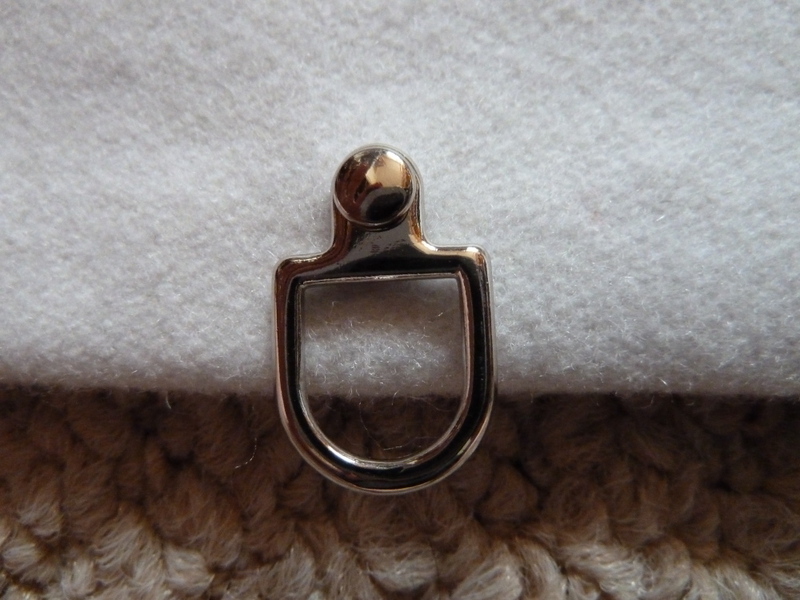 I’ve seen smaller but similarly shaped clasps called lobster claw clasps, but that is usually for either tiny jewelry-sized ones or mid-sized ones that you would use on purses/bags.